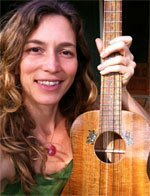 Then my incredibly popular ukulele home-study course is perfect for you. Why? This is the only 100% video-based method that enables you to play your favorite songs by strumming along with three 7-minute videos per week. Sound too good to be true? All you've got to do is play along with three 7-minute videos per week, and your progress will skyrocket. Only three 7-minute videos per week? Yes. 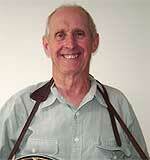 You will get better faster, because my videos use the PROVEN principles of Deliberate Practice. 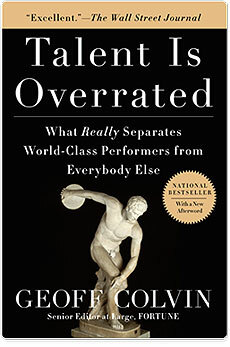 Deliberate Practice is celebrated in Geoff Colvin's first book, Talent Is Overrated, which earned global acclaim as a NY TIMES & WALL STREET JOURNAL BESTSELLER. Thank you Ukulele Buddy! I was afraid that I wouldn't be able to learn the ukulele from a video, but I have totally enjoyed my results! The lessons were the perfect pace to easily play along with and learn songs! I am so thrilled! 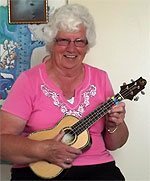 I am an old girl and I am amazed at how quickly I have picked up the Ukulele if I had realized how much fun it was I would have started to play as a teenager. I can now jam with the kids! I have my 11 year old grand son asking how come you can play and teach me something's, ha ha ha! The ukulele class I attend here are amazed at how fast I have picked it up so on Thursday night I took my laptop computer along to our class because our teacher was not there and I showed them I took them through the first 12 lessons, they were amazed at how easy it is. Major kudos on your I - IV - V chord progression lesson. I read theory for YEARS and it didn't make sense until your five minute video! Amazing! That one lesson alone was worth the cost of the course to be honest. 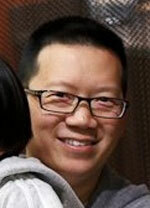 I enjoy your method of teaching very much! I've taught at University of Texas, Austin Community College and even toured all over the world with Grammy nominated Abra Moore. Boredom (from mind-numbing practice), combined with bad habits, are a recipe for disaster. If you're willing to kick back and strum along with my quick and simple videos, you'll be "hand-delivered" to a level your friends go "Wow! in a matter weeks. The second common problem with learning the uke is that people just don't have enough hours in the day. Are you up for playing along with three 7-minute videos per week? 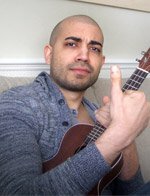 If you can, my Ukulele Buddy video lessons will be perfect for you. If not, you might as well just save your money. It took me over 25 years to distill this 100% video-based method down to its maximum potency. Three 7-minute videos per week is the sweet spot. And YES … The more you play along with my videos, the faster you’ll improve! How do you make one of the best learning methods on the planet better? Simple. 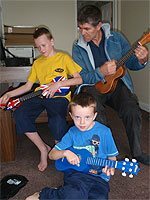 Get a world-class uke player to join in the fun. Meet Mitch! Mitch will show you how you can go onto the Internet and play any song you want for free (by understanding ultra-simplified ukulele tabs). 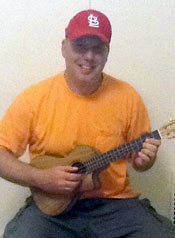 A graduate of the University of Hawaii, Mitch will entertain you and blow your mind with his crazy uke skills. Your lessons are great!! Step by step and great to follow along. You make it easy to learn and playing straight away. I am a visual person I like to see people doing the lessons then replicating them. Great energy & vibe from both of you and fun too! My lessons are suitable for all the different sizes of ukuleles. 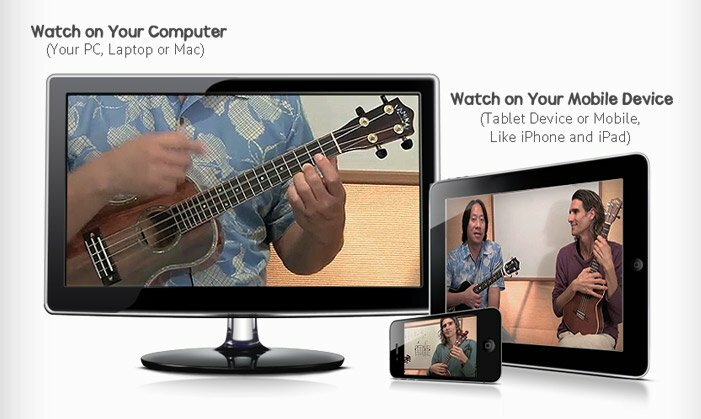 When you buy my complete beginner's uke course, you get over 10 HOURS of video instruction. You'll master all the easy must-know chords for playing your favorite songs. You'll also discover the tricks for moving from one chord to another, effortlessly and smoothly (this will give you that "pro" sound). 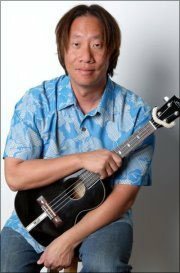 After you're done with the strumming lessons, you'll really be able to make your little ol' uke sing with a sweet tone. No more botched notes or buzzy chords! Rippin' the Roof Off the House - With Just One Chord! • How to Play Your Favorite Songs by Ear & with Ultra-Simplified Uke Tabs • How to Wow Your Friends in a Casual Setting • The Must-Know Chords • Locking It Down With a Solid Sense of Rhythm • The Most Popular and Easiest Strumming Patterns • Strumming Along with Other Musicians • Funky Reggae Grooves • Awesome Brudda Iz Strumming Pattern • Twelve Bar Blues • How to Write Songs with Your Uke • How To Tune • Right-Hand Muting • Ukulele Picking • Groovin' Surf Song • Playing for Your Own Enjoyment … and a whole bunch more! I bought my first musical instrument, lanakai , as per your recommendation ... LOVE IT. Am down to lesson 41 so far, I know you said the brain needs to be rewired, mines a bit on the stubborn side... but getting there! Love your enthusiasm & encouragement! I'm a former guitar player who is trying to learn the uke. I needed something to get me started. Your very clear lessons plus the play along feature build skills pretty fast! I ripped through your uke lessons quickly, as they were easy, but technical enough that I was improving immediately. My kids were shocked at my progress, as was I. The fact that I can practice with you every day really makes a huge difference. I can't thank you enough. Your teaching style is so refreshing and unique. I have tried other lessons with no success. I appreciate the time and energy that you have put into this course. You are an awesome teacher with a great product. You change people's lives! Playing music that I love really gives me something to look forward to on a daily basis. Thanks again, and I will spread the word! All the Styles! Pop, Rock, Blues, Country, Soul, Gospel, Folk and Reggae! 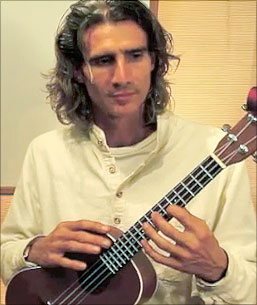 How to learn hundreds of songs ― by ear ― and play them right away on your uke. How to play your favorite songs using ultra-simplified Uke Tabs. How to unlock the secret to decoding any strumming pattern by ear … in seconds! JP and Mitch's lessons are very encouraging to experiment and jam along with. Delivery of the lessons are excellent for a beginner, even with years of classical training on piano and other instruments, it was still good to revise the theory too... they REALLY know their stuff, they clearly love it and want to share it...and they are honest and open, and very sweet guys :) i read the bonus song books and as i did so i became more inspired by the fact that i have been playing my own thing (from what i have learned from the lessons)...and how in line i was to the new learning from the books, very uplifting - how magical is that!? love it. Here's a photo of me in action in a restaurant in Chiang Mai, Thailand - (so cannot believe i went public, lol) playing happy birthday!! Your program has been unbelievable! I've had good music/guitar teachers in the past but your system of 7 minute lessons is simply outstanding. If you were to take private lessons with Mitch or me, it would cost you over $2,000 to receive all the ukulele lessons you'll get in this complete bundle. 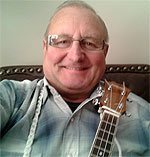 If you're not totally blown away with my Ukulele Lessons and you're not able to play the songs you love just ask for a refund any time within 60 days of ordering and I'll pay you every penny back, right away! (Includes FULL 60 DAY Money Back Guarantee. 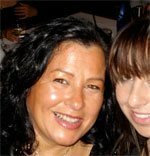 Clickbank.com Secure Checkout: Order Securely 24 hours a Day, 7 days a Week , 365 Days Per Year. VeriSign Trusted checkout. 100% guaranteed. I signed up for uke lessons because I couldn't find anyone in our vicinity you could teach me properly. I can say that I love your website lessons and it has given my hours of help on learning my favourite instrument. My progress is improving rapidly! 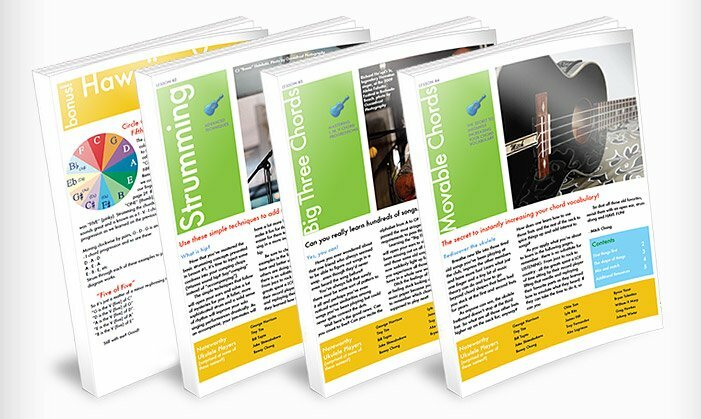 I can now play several chords, JP and Mitch Chang show you step by step the correct way. Hopefully I will be good enough to play in a band. Hi JP the reason for buying your lessons, which are fantastic, is a friend talked me into coming along to the Ukelele appreciation society which meets in my home town of Adelaide South Australia every tuesday. I love the fun way you put them together. Since i didn't know any music theory I love the way you weave it in. 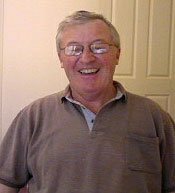 Cheers, Terry! If you’re an Advanced Musician, this course is probably not right for you. But if you’re someone who has noodled around with ukulele or other instruments with little success, you’re going to be playing at a level that makes your friends go “Wow!” in no time. Yes, lifetime access to your videos and bonuses is included. Yes, you can watch each lesson as many times as you want! No, there are no additional monthly fees with the instant online access option. Buying lessons as a gift? One idea would be to order the lessons with your own email address. Then just forward the recipient the link (which you will receive via email) to access the videos. Optional: You can enter your recipient's email address on the order, and they will get the access link (and receipt) via email immediately. I can't find the login page? Please bookmark this link above for future reference. View lessons on another computer or device? Yes, you can view the lessons on any computer, phone, or tablet device that you own. If you have an average-speed internet connection, watching the videos shouldn't be a problem. Feel free to try them out, and if playback is too slow we'll give you all your money back. 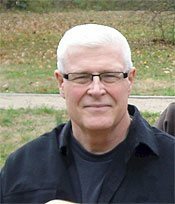 Yes, you can download any of the lessons and save them to your computer, iPhone, iPad, tablet, or other device, to view when you are not connected to the Internet. The full download size is approximately 3.5 GB, but again, you can download only the specific lessons you'd like. You can of course still log in to watch all of the videos online anytime, or download them again, if needed. Once you download the videos, you'll need to sync the video files you want to watch onto your device using the iTunes software. Depending upon your operating system, you should be able to save the videos to a folder of your choice and play them in Gallery or with the built-in video player. If the built-in player can't play them, you'll need an app that can. Google Play has a lot of those. My personal favorite is MX Player. Other good ones are VPlayer and Mobo Player. And there are numerous others. These will play just about any video format. The formats it can't play are rare. You can definitely use a Baritone uke with our lesson program; you'll just need to put a capo on the 5th fret. This converts the tuning to GCEA, which allows you to follow along with the lessons. Yes, the course is suitable for the banjo uke. You may need to use a plectrum or “pic,” as the banjo uke strings are a bit different than the ones on other ukes. Here's my thinking: As a left-handed player, you will need to learn to adapt to a right-handed world ... I think our series will be an excellent way for you to learn to quickly translate the right-handed techniques into left-handed ones, because my teaching style is so compassionate to beginners. Also, our series will be like looking in a mirror, which should be very helpful. This mirror effect will be much simpler than trying to learn from a CD or book, which can be confusing. The songbooks and other bonuses are all available via instant online access. We do not actually physically mail the songbooks to you. Can a child do lessons? With an adult's support, a young child is able to do the lessons. Just let the child pace themselves, of course. We've seen success many times, but please let us know your experience. 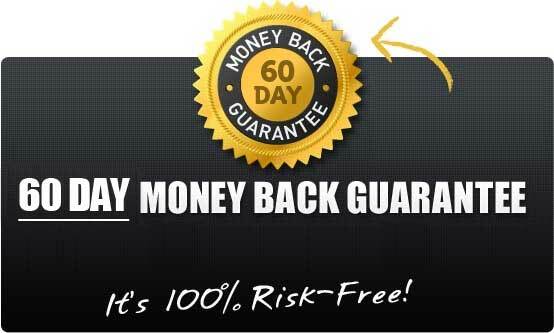 We do offer a 100% money-back guarantee, if needed. Is this for me? Can I really do it? 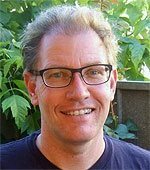 My Ukulele Buddy lesson series was designed for nonmusicians and beginners. I confident that we can help you become the uke player you want to be. I think you are going to love the pace and style of the videos. If fact, we guarantee you'll love it or your money back! So you really have nothing to lose. And if you do order the lessons, please do keep me updated on your progress. I have a feeling you'll be amazing your friends in no time at all. I'd be over the moon if you'd be willing to submit a testimonial for our website someday about the lessons and your proud progress. Once again, I'm confident we can get you there, and have lots of fun along the way!